By CK Ng, 9 Jul 2011. I was not much of a railway person. The KTM railway in Singapore has been around for nearly 80 years, but like most people, I never thought much about it. I had vague memories of taking the train to Malaysia when I was a little kid but couldn’t remember much of it. 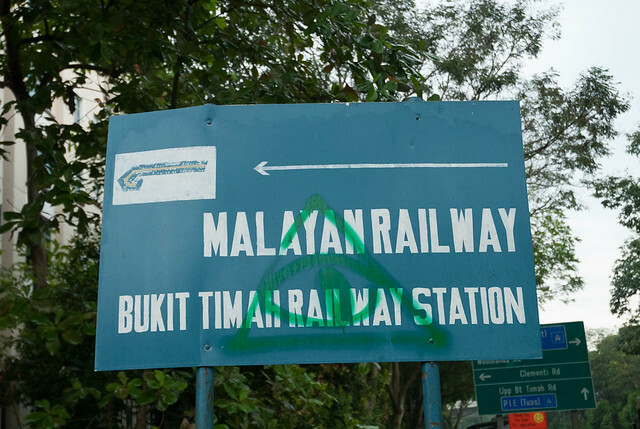 The quaint little railway station (which I never knew about until recently) and the iconic black truss bridge across Bukit Timah Railway – these were very close to Ngee Ann Polytechnic where I spent three years studying. I would pass the bridge every day on the way to and from the polytechnic, but never ventured to explore the vicinity. By CK Ng, 2 Jul 2011. 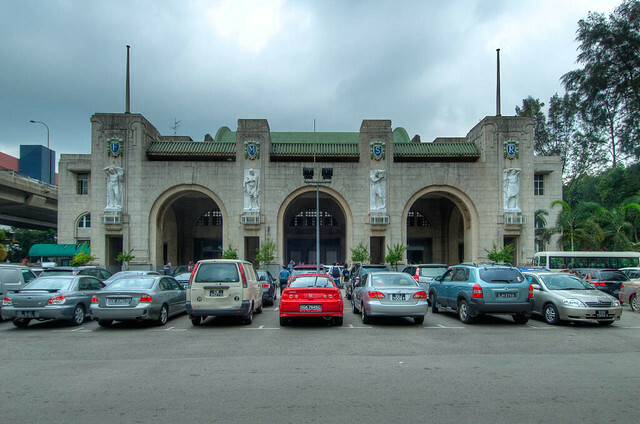 After 79 years of operation, the Tanjong Pagar Railway Station will cease operations on 30 June 2011. Not wanting to miss the historic moment, I decided to pay the station a last visit before it’s closed the next day. Gilbert was with me as well, and we hoped to capture the last trains in and out of the station which will serve as a closure for the many photographs of the railway that we’ve done over the past few weeks. Arriving at the station and not having previously shot it at night, I decided to take a photo of it. Additional lights have been put up to further light up the station’s facade, which we later found was also to prepare for the arrival of the Sultan of Johor who will be driving the last train out of the station. 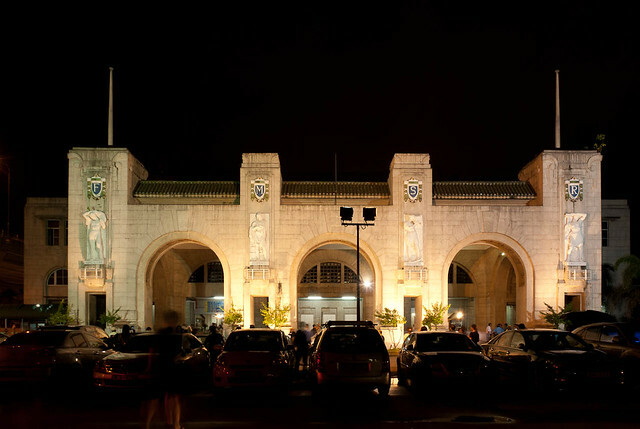 The Tanjong Pagar Railway Station at night. Additional lights have been put up the night this photo was taken. By CK Ng, 28 Jun 2011. Having been inspired by Jerome Lim, author of The Long and Winding Road, I was pleasantly surprised to find that he’ll be leading a walk together from the Rail Mall to the Bukit Panjang Crossing. I’ve actually walked that route the previous week, but I wanted the opportunity to meet him in person so I signed up. I also got Steve and Gilbert who were with me on the last trip to join in, as well as Boon Hwee and Gin Pak. Being on the last weekend of the train operations on the old line which runs from Tanjong Pagar Railway Station to Woodlands, a record number of more than 100 people turned up, including TV personality Denise Keller. This is also possibly the last of such walks organised by Eugene Tay, owner of the We Support the Green Corridor Facebook page and the Green Corridor web site. By CK Ng, 26 Jun 2011. This weekend marks the last weekend of the train operations along the old railway system in Singapore. During the last few weekends, I’ve been photographing around the Bukit Timah Railway Station several times as I am attracted to the quaint little building and also wanted to capture the old practice of exchanging key tokens. Today, after bringing Clarence, Jimmy and their friend Lawrence to the station to shoot, we made our way to the Tanjong Pagar Railway Station. The sky was starting to get dark and rain was imminent. By CK Ng, 19 Jun 2011. After attending the Green Corridor walk to the Bukit Timah Railway Station last week, I decided to get Gilbert as well as another couple of friends to go there to shoot again. I also wanted to get a few shots of the token exchange process, a practice still performed here but will be history once the railway line and land is handed back to the Singapore government come 1 July 2011. We arranged to meet at 7am at the McDonald’s at King Albert’s Park, but I was disappointed when I woke up to find it raining. After some hesitation, we decided to go ahead as the rain was getting lighter, and by the time we started, there was no more rain. Thankfully we did not give up and go back to bed! I missed shooting some of the signboards leading up to the station the last time round, so I took them on this trip. By Stephanie, 18 Jun 2011. By Stephanie, 17 May 2011. The recent news about the closure of Tanjong Pagar Railway Station has created quite a stir amongst many Singaporeans, netizens and budding photographers who wanted to visit both the Tanjong Pagar Railway Station and Bukit Timah Railway Station (now functioning as a passing loop railway station between Tanjong Pagar and Woodlands) before operation ceases for good (with effective 1st July 2011). That is just less than 2 months away! This was a cause of concern for many heritage and nature lovers who were afraid that the government might demolish the stations for commercial development. As we all know, land is extremely scarce in Singapore and any available prime land (especially at Bukit Timah) is most likely to be snapped immediately either to build another expensive condominium or a retail mall. Well, money talks. 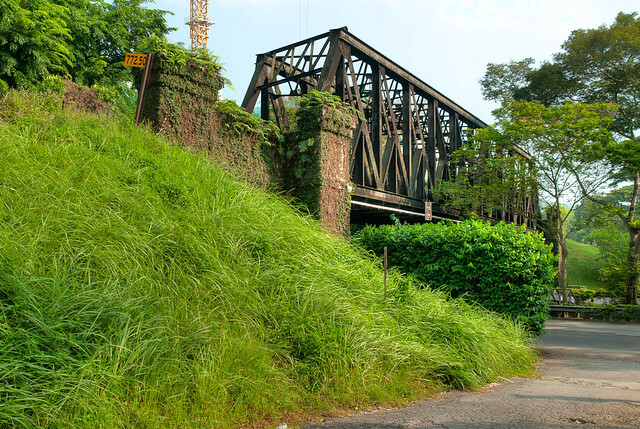 Click here to read about a proposal, proposed by The Green Corridor, to turn the stations, along with its railway tracks, into an eco-tourism attraction. Thumbs up! By Jerome Lim, 19 May 2011.